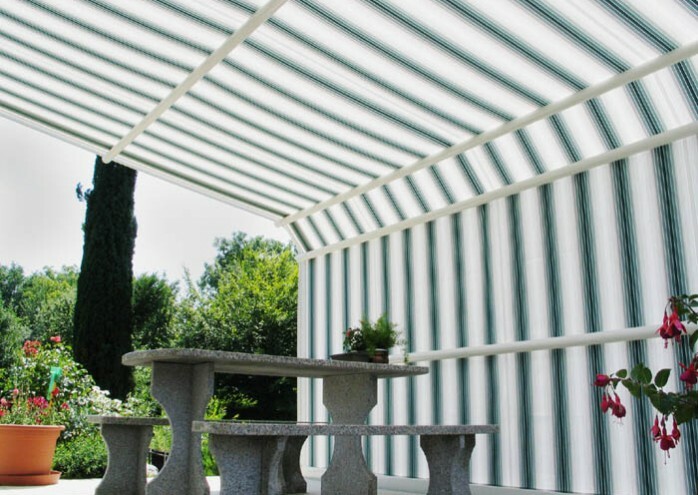 The Arcada is designed for the shading of both the roof and the vertical areas of glass annexes, patios and conservatories. 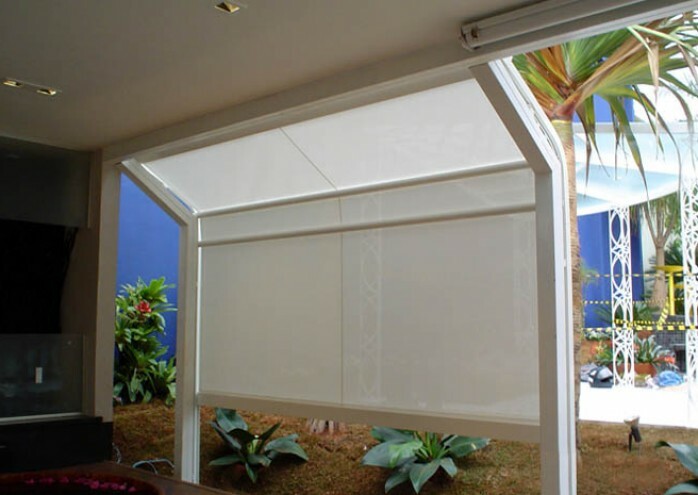 This unique and innovative system not only provides shade from the sun but also privacy from the neighbors. 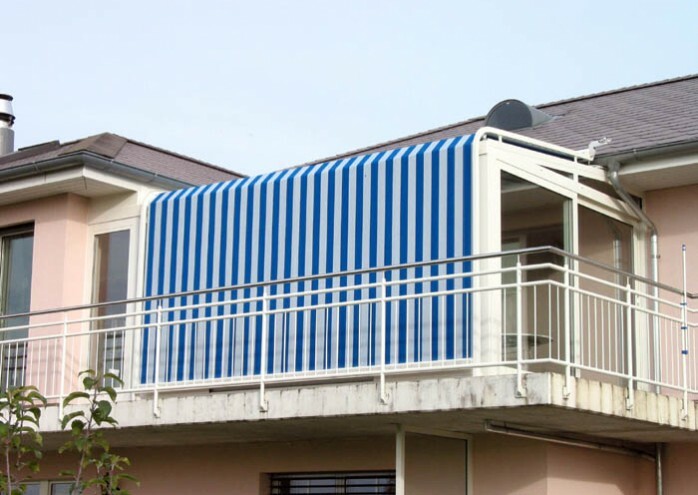 The aluminium guide rails can be adjusted to any angle up to 90°, using one or more bends. In so doing, the Arcada easily conforms to the architecture of many different structures. 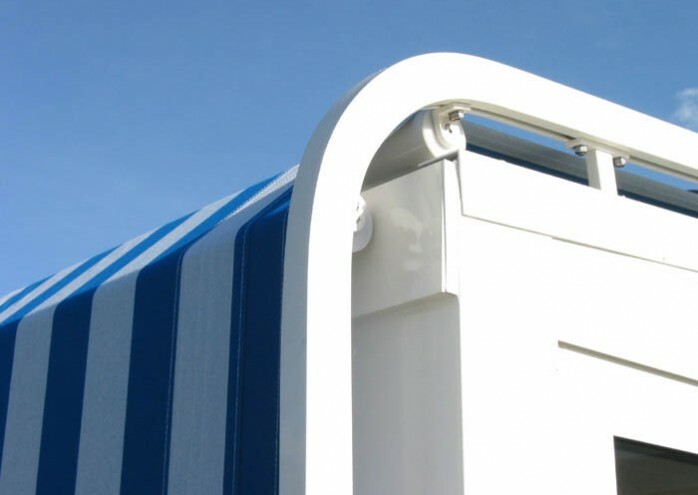 The proven gas-filled cylinders in the front rail ensure constant fabric tensioning in any position. 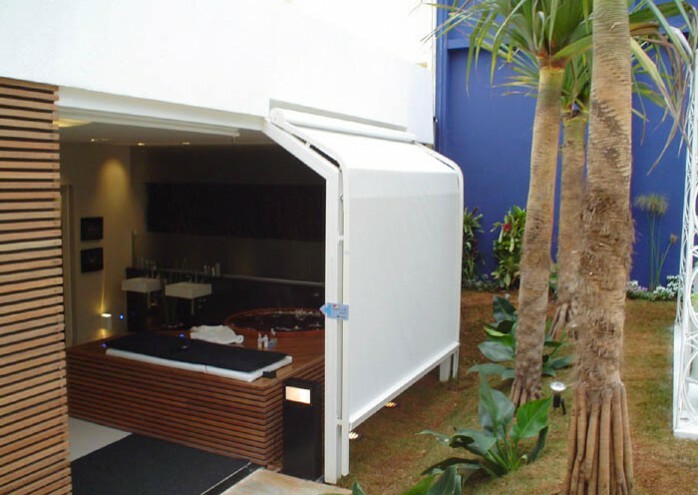 The Arcada-Plus can be even be used as a free-standing structure. Additional controls such as a remote, and sun or wind sensors are available as options and complement the electric motor.